Does your dog eat a high quality food as part of their normal diet? In our household, I have always been very picky about our dogs’ food, determined they would only got the best food with premium quality ingredients and high quality animal proteins. Yes, I am that person who will flip over a giant 25 – 40 lb bag, balance it on the shelf (I never think to check the small bags), and go through each and every ingredient to make sure it was something healthy for our girls. More than once, my husband and I have joked that the dogs eat better than us. Part of what made us so picky though, and changed our idea of what was considered high quality food, is owning a dog with food allergies. When Ivi was a puppy, our vet couldn’t figure out why she was having digestion issues and everything went through her (…and came out…) at high speeds. We couldn’t figure out what was making her so sick, until a campaign with our blog last year changed everything – Ivi’s Big Adventure to PetSmart to try Natural Balance®. While this may not sound like a big deal to most, this simple trip truly changed everything. For the first time, our sweet little puppy ate a food that didn’t upset her stomach and she LOVED it. Honestly, I am nearly in tears remembering her being full of energy, happy, and chasing after Reya. While we still wanted to know what made her sick, it wasn’t a question to my husband or myself that we were keeping our girls on Natural Balance after that change. It wasn’t until a month later that we learned that our Ivi had a turkey allergy. Once we figured out she had an allergy, it wasn’t a question to us the majority of her food rotation would be Natural Balance Limited Ingredient Diet (LID) Food (with a treat sometimes from their Wild Pursuit lines). Even though it may sound a bit weird, we believe in Natural Balance because of how much it helped my sweet Ivi thrive and become the beautiful girl she is today. I can say with confidence that I believe this high quality food has been doing the same for Rylie, too. 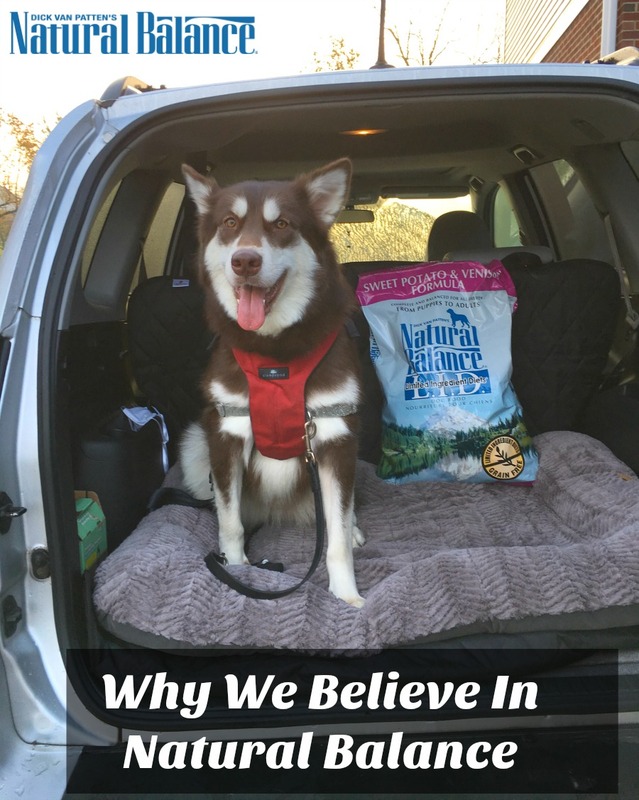 It isn’t just our experience that made us confident that Natural Balance was the right food for our Malamute family. Natural Balance is committed to quality, nutrition, and the safety of their pet food, and unlike many other brands, they understand why the quality of their pet food is important. They care so much that they don’t just test their food once in their state of the art lab, but NINE times. You read that right, each batch is tested nine times to make sure it is safe for pets. Each of their foods is also formulated by nutrition experts using high quality ingredients including vegetables, fruits, and high quality proteins like chicken, lamb, salmon, and my girls’ personal favorite, venison. When it comes to high quality food for your dogs, we feel confident that you and your dog will love Natural Balance. They even have a Buy with Confidence™ Guarantee, which states that your dog will love Natural Balance and that their food will always be high quality, safe, and you will always be 100% satisfied. If you have never tried their food (or are looking for a new variety), make sure to try out their Help Me Choose tool, or talk to a live veterinary technician to see which food is right for your dog(s) based on their own needs and preferences. Ivi and I believe in Natural Balance, and we are confident you will too. I have bought Natural Balance for our pets for years and they love it. I honestly believe it has helped them have better all around health and vitality. I quite honestly wish I knew about Natural Balance sooner. 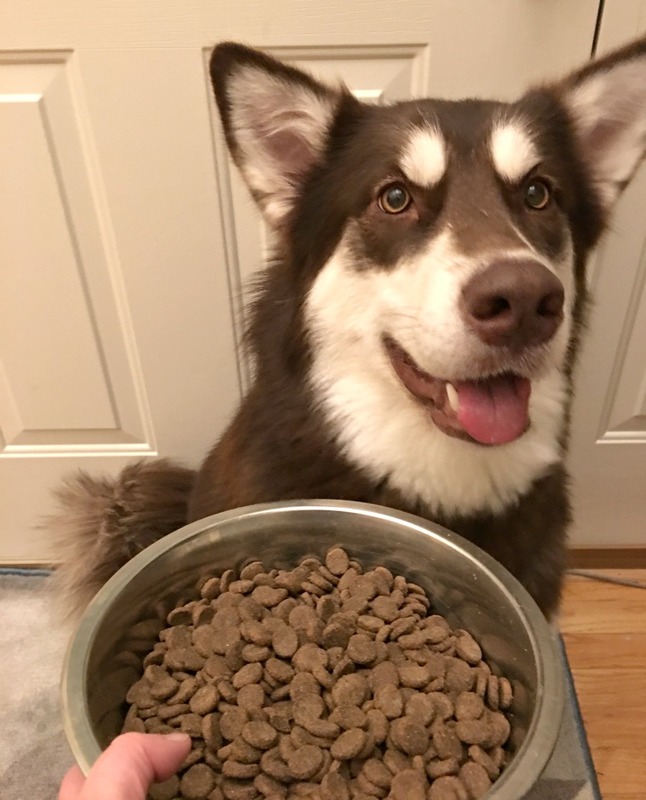 It is why I don’t do dog food reviews often anymore – it is hard to beat them and my girls absolutely love it! The Natural Balance looks like a nice and balanced diet. I would love to pick some up based on the great review that you left on the product. Thanks so much for sharing. I buy Natural Balance for the cats. You can tell them that it’s because I got a sample once and the cats just loved it. I hate to spend $20 on a bag of food and have them reject it, so the sample was a good thing! I haven’t tried it on the dogs yet because they are bot on vet prescribed food for now. I would love to feed new balance to my baby!! It sounds like something very good to help keep him healthy. We want only the best for our Colt!! Love the information I received!! We’ve been feeding one of cats Natural Balance and she’s very happy with it. We also feed our dog the Natural Balance rolls. It’s important to trust the brand and food that you feed. Our pets’ health is too important to take chances. I very much agree and I”m glad we have so many options! Sounds good. I think I’ve tried (well, my dog has tried) samples of this food. He needs senior and joint care food. My new cat is has extreme food allergies and it will be a journey looking for something she can eat. I would take a look at the LID lines of Natural Balance. They are extremely allergy friendly. I believe they also have a senior and joint care food (I’m pretty certain I saw it on the shelf at PetSmart). We’ve been reading some great stuff about NB! We use their treats and wet food in our rotation… the Lapdogs always love it! I’m so glad you found a food that works for you. Food is the foundation of health. Thanks for the post. I am as well. It is so hard finding that right food that helps your dogs thrive! I’m in the market for a new food for Jack, and after reading so many great reviews I’ll have to check if it’s available where I live. Thanks! It’s important to feed our pets the best quality food we can afford, and this looks like a good choice. I do love that they have so many varieties and at different cost points. We love natural balance as well. I used to work at Pet Club and we recommended it as one of our top foods. People and the dogs loved it! I won’t lie, I probably talk about the food way too much to people. I am that person who will listen to people talk about the cheap food at pet stores and the moment the clerk disappears, recommend Natural Balance. Our vet has even started promoting it after seeing how well our girls have done on it. Your dogs have the most wonderful expressions, always .. I really do love that this food here has no chemicals or artificial flavors. Thank you – Ivi is truly precious and always so happy to show her love for the camera (and anyone near her). We aren’t in the market for a dry food since we prefer to make our own but I think in a pinch this looks like a good product – do they make tiny sample bags? Yes, they do! I normally don’t see them in the store but I think you can write to the company and get some. I know our local pet stores also have samples behind the counters. I love how many different options Natural Balance offers. They truly have something for every pet. Also, love their limited ingredients and all their safety measures. Their safety measures are truly the best! My dogs love Natural Balance! Nelly suffers from allergies, but has no problems with the grain free version. It is such a great feeling when you find food that helps your dog to thrive. It really is! I never realized until I found out Ivi had a turkey allergy how much they put Turkey in EVERYTHING! Natural Balance is great about their labeling and I love they have a line that I always know will be safe for her! Great job on this post, Susan. Ivi looks super adorable and happy! My Husky, Icy is a Total Natural Balance girl, she love all their food! They have our trust as well. 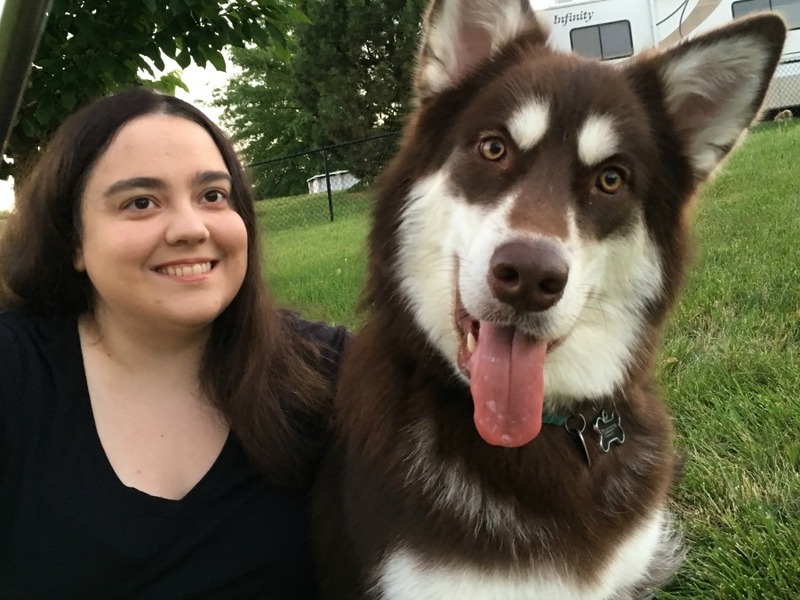 I cannot wait to meet Icy this year at BlogPaws! Ivi has recently been exploring their treats a bit more and has fallen in love with their duck jerky sticks in the LID line. This food looks great. Kilo has not tried yet but I think I will put it in our rotation. We do a rotation diet too and it is the majority of their food (we sometimes treat them to homemade food too when mom can find good meat on sale as a treat). I think one of the LID lines uses rice but I cannot remember. Just as important as what’s inside Natural Balance is what is NOT – thank you for sharing this info, as it helps to show the true quality and thought behind this quality product! So VERY true! I never realized how many scary ingredients were in dog food until I got Reya and was the paranoid dog mom. I love that Natural Balance always keeps my girls safe with amazing products that are always quality controlled. It’s very important our pets receive the best food that is also affordable. Truffle and Brulee have enjoyed eating the varieties and flavors of Natural Balance cat food. Sounds like a really good food. I flip bags over, too! I have tried their treats for my Huskies and they really enjoyed them. It’s comforting to know the food and treats we feed are beloved pets are healthy! Thanks for the review! Ivi is a beautiful model! Thank you so much for the compliment! Their treats are amazing and it was actually my first introduction to the brand with Reya (I think they were in a subscription box). It wasn’t until Ivi came along that we really tried their food and fell in love. If you want to a food line that drives dogs wild, try their Wild Pursuit. Their raw pieces are our girls favorite! It is one of their favorite in their rotation (the only reason we don’t feed it more of is only 2 of the 3 varieties are safe for her allergies). Natural Balance is a great brand. The LID brand looks fantastic as I’m a big fan of one protein diets. I think changing up the proteins is also great. Appreciate knowing more about this line they sell. We are fans of Natural Balance. Dex eats the treats and his BFF thrives on the LID for her irritable bowel. Ironically it’s the only food she can eat that does not upset her tummy. Her mama is very happy. Your pics are gorgeous as always. I know Natural Balance is a high quality pet food but my Yorkie has to be on a prescription diet to prevent further bladder stone issues. I have bought their dry and canned food in the past. I’m so happy that you were able to find a product that has worked so well for your dog. There is nothing better than seeing your dogs thrive and do well. Natural Balance is a great brand for dogs because it is natural. That is how I eat. My daughter works at an animal clinic and only recommends natural products for pets. I don’t have any animals. I can’t really comment on the product. Natural Balance sounds like it would be a good food. My little furbaby would like it. This sounds really interesting. I have 3 cats and the oldest has a super sensitive stomach. So this might just be what she needs. Thanks for the info. Personally, I like the fact that because we have so much information, people are able to do much better jobs at tending to their pets’ health and needs. We jump through hoops trying to take the best care of ourselves, so it’s only logical that it would extend to our pets as well. This brand looks to be exceptional, and its satisfaction guarantee makes it that much more appealing. Its nice to see people really caring about what they feed there pets , I think this product here is really nice and love that they add only what should be added into the food. The Natural Balance looks like a nice and balanced diet. Susan, I’m so glad you found out what was causing your dog’s allergies. Even though it was by accident, now you have a food that has turned your dog into the happy puppy you have now. I loved reading your story! This food sounds so good that I looked to see if they make cat food (no dogs). They do and I’ll be trying it. I only want the best for my cats. It is so nice to see all these new dog brands that have better ingredients. We choose organic pet food, but this one looks really interesting. I absolutely agree that you should feed pets food that is actually healthy for them. I know not all of us can afford hugely expensive dog foods (I can’t!! )–but Natural Balance is a quality food & not hugely expensive. I love learning about pet food that is so much better…I haven’t tried anything that sounds as good as this! Good to hear about this! They deserve a healthy diet too. Natural Balance sounds like a great way to go if your furry friends have a severe allergy to something in the food, but I don’t think I’ll be changing anytime soon as my pets love their current choice. This sounds like a healthy brand of dog food. I would not hesitate to feed it to my dog! This looks like something I’d feed my dog if I still had one. I like all the stuff it doesn’t have in it. I’ve heard nothing but good things about Natural Balance. While I don’t have any pets myself, I know people who do have them and they love Natural Balance. I would definitely recommend them to other pet owner friends! I bet my dog would love this! I love the natural ingredients aspect of the brand. I don’t have pets and my moms dog is pretty old and won’t be here too much longer 😔 but I will definitely pass this info on. I choose to feed my dog Natural Balance because it uses real ingredients! i don’t know if they make cat food or not. I will have to show my sister. She just got a pug. I do think it is so very important to feed our pets high quality food. I never minded going out of my way or spending more money for any of my pets. What a gorgeous dog. My old dog died a couple of years back, and lately I’ve been wanting another one. I thought about getting one for Christmas but I don’t think it is a good time just yet. This sounds like a great company that cares about what goes into there dog food.I’m going to try this for our dogs.Your dogs are beautiful. We have been using Natural Balance for some time now. We switch from another because of the fresher ingredients in Natural Balance. We have been more than pleased with the results. He loves it and we change flavors and he still just eats it up. Great Review, thanks.